An exciting archive being built around working class activism. Open source ideology has now moved beyond the coding and programming to inform the broader fields of information and content distribution. At this level it acquired the power to fundamentally change the way in which society is organised. The term ‘open source’ originally referred to the development of computer software. Rather than a propriety piece of software that a customer would buy but could not then modify, open source software is developed collaboratively by many programmers and the source code is shared freely in the public realm thereby allowing anyone to modify or improve it. Often the programmers developing this software are volunteers, part of a larger collective enterprise producing reliable products that are then in competition with those sold by corporations. The most obvious success story in open source must be the development of the Linux operating system. In 1991, a Finnish student called Linus Torvalds began writing a new computer program and solicited help via the internet from other volunteer programmers or hackers. Within a few years their exchange of information had spawned a global network of participants who had created a new operating system that was more reliable than many commercial alternatives. And it was free. or redistribution, with readers’ improvements considered for succeeding editions. There are library efforts like Project Gutenberg, which has already digitized more than 6,000 books, with hundreds of volunteers typing in, page by page, classics from Shakespeare to Stendhal; at the same time, a related project, Distributed Proofreading, deploys legions of copy editors to make sure the Gutenberg texts are correct. There are open source projects in law and religion. There’s even an open source cookbook. Gage grins. Berkeley Unix, he proposes, offered a different way forward from the painful agony of hurling oneself into the operation of a demonic crankshaft. Berkeley Unix, with its source code available to all who wanted it, was the “gears and levers” of the machine. By promoting access to the source code, to the inner workings of that machine, the free-software/open-source movement empowered people to place their hands on the gears and levers, to take control of their computers, their Internet, their entire technological infrastructure. It wasn’t just the free speech movement however that provided the context for the development of free software in Berkeley. 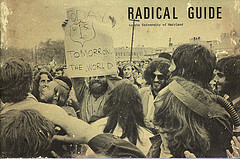 As the hippie culture evolved in San Francisco it also spawned groups that began to formulate ideas and practical solutions that would provide a framework for an ‘alternative’ society. One of the most important of these groups were the Diggers, activists who tried to create an infrastructure for the burgeoning Haight-Ashbury scene. Their work ranged from radical street theatre to more practical support for the communities appearing across the city, setting up free clinics and soup kitchens. Like Mario Savio, they vilified an industrial culture that folded man into machine though they identify computers as a means to free people from this relationship. In ‘Trip Without, a Ticket’, they state that Industrialization was a battle with 19th-century ecology to win breakfast at the cost of smog and insanity. Wars against ecology are suicidal. The U.S. standard of living is a bourgeois baby blanket for executives who scream in their sleep. No Pleistocene swamp could match the pestilential horror of modern urban sewage. No (children of White Western Progress will escape the dues of peoples forced to haul their raw materials. But the tools (that’s all factories are) remain innocent and the ethics of greed aren’t necessary. Computers render the principles of wage-labor obsolete by incorporating them. We are being freed from mechanistic consciousness. We could evacuate the factories, turn them over to androids, clean up our pollution. North Americans could give up self-righteousness to expand their being. The Diggers are hip to property. Everything is free, do your own thing. Human beings are the means of exchange. Food, machines, clothing, materials, shelter and props are simply there. Stuff. A perfect dispenser would be an open Automat on the street. Locks are time-consuming. Combinations are clocks. So a store of goods or clinic or restaurant that is free becomes a social art form. Ticketless theatre. Out of money and control. “First you gotta pin down what’s wrong with the West. Distrust of human nature, which means distrust of Nature. Distrust of wildness in oneself literally means distrust of Wilderness.” (Gary Snyder). Diggers assume free stores to liberate human nature. First free the space, goods and services. Let theories of economics follow social facts. Once a free store is assumed, human wanting and giving, needing and taking, become wide open to improvisation. Software is just the beginning. Open source has spread to other disciplines, from the hard sciences to the liberal arts. The beauty of it was that we were doing our part to expand the taping phenomenon by educating more and more people, and helping to unlock mysteries surrounding the tapes…At the same time, we spread the magic of the music through our events, which then went beyond just the music. They became a fertile ground for exploring artistic and creative freedom through multimedia, dance, and improvisation – some of the same themes the Acid Tests explored. In doing all of this we were creating a large community of active Deadheads in western Massachusetts, who in turn were sharing the music with all of their friends. It was a classic snowball effect. The tapes not only spread the word about the Grateful Dead’s music but spawned a whole new series of cultural events. The real economic impact of this phenomenon only became clear long after the demise of the Haight-Ashbury culture. By the eighties, the band seldom recorded but toured prodigiously. The tapes in circulation generated such a reputation for the group that they consistently expanded their fan base and established themselves in a secure, and lucrative, position outside the trends of pop or fashion. Berkeley’s most important contribution was not software; it was the way Berkeley created software. At Berkeley, a small core group — never more than four people at any one time — coordinated the contributions of an ever-growing network of far- flung, mostly volunteer programmers into progressive releases of steadily improving software. In so doing, they codified a template for what is now referred to as the ‘open-source software development methodology.’ Put more simply, the Berkeley hackers set up a system for creating free software. This general spirit of freedom and cooperation would have consequences that eventually reverberated far beyond Berkeley. Richard Stallman, a programmer who worked at Harvard in the ’70s, practiced a similar philosophy of sharing, establishing an ‘informal rule’ that if he distributed free copies of the software he was developing, hackers would send any improvements they made baCk to him. When Stallman’s lab community of hackers was eventually drawn into a private company in the ’80s, Stallman retaliated by matching their innovations program by program (distributing his work freely) in an unprecedented bout of coding that lasted almost two years. Setting up GNU in 1984, an organisation dedicated to ‘free software’, Stallman laid the foundations for the emergence of the open source movement in the ’90s. At the same time, the world’s media was being transformed by several key developments. The video recorder was about to become a domestic commonplace, revolutionising viewing habits for cinema and television as films became infinitely reproducible. For musicians, the rise of sampling technology revealed an equally radical future as elements of one song could be lifted and then dropped into an entirely new musical context. The economics of cultural property and intellectual copyright began to be Challenged in ways in whiCh the movie industry, the music business and the art world had not foreseen. Going open source will increase our user base by a factor of 100 within three months. Wider brand and stronger identity leads to more consulting and increased valuation on our company. Open source gives rock solid, battle-tested, bulletproof software on more platforms and with more capabilities than closed source, thus increasing the value of our consulting. Fostering a community creates an army of messengers, which is pretty effective marketing. This is not the last innovation we’ll make. In the status quo, the value of packaging the software as a product would approach zero, as we had zero market penetration. What is the value of a killer product with few users? The cost to enter the established web application server market was going to be prohibitive. The investment grows us into a larger, more profitable company, one that can make a credible push to create a platform via open source. Since our consulting is only on the platform, a strong platform is imperative. Open source makes the value of our ideas more apparent, thus the perceived value of the company is apparent. Our architecture is ‘safer’ for consulting customers. With thousands of people using it, the software is far less marginal. The customer is able to fix things themselves or reasonably find someone to do it for them. Finally, the software will “exist forever”. Dramatically increasing the base of users and sites using it gives us a tremendous boost in “legitimacy”. The exit plan isn’t about the golden eggs (the intellectual property) laid last year. It is about the golden goose and tomorrow’s golden eggs. The shelf life of eggs these days is shrinking dramatically, and the value of an egg that no one knows about is tiny. Give the eggs away as a testament to the value of the goose and a prediction of eggs to come. The community can work with us to dramatically increase the pace of innovation and responsiveness to new technical trends, such as XML and WebDAV. Ride the coattails of the nascent Open Source community and its established Channels suCh as RedHat. OSS has a certain buzz that is greater than its real customer-closing value, but this buzz is getting hot. Moving aggressively towards Open Source can make us a category killer for the web application server market segment. “The guiding principle of science has been that freely available material is more useful; it’s more likely to generate better science,” Eisen says. But freely available is not the same as free of Charge. Science journals, with their historically narrow readerships, often charge thousands for a subscription. One of the biggest disseminators is Elsevier, the science publishing unit of an Anglo-Dutch media conglomerate, which distributes some 1,700 academic journals, from Advances in Enzyme Regulation to Veterinary Parasitology. With recent advances in Internet publishing, the Trust is aware that there are a number of new models for the publication of research results and will encourage initiatives that broaden the range of opportunities for quality research to be widely disseminated and freely accessed. The Wellcome Trust therefore supports open and unrestricted access to the published output of research, including the open access model (defined below), as a fundamental part of its charitable mission and a public benefit to be encouraged wherever possible. This statement returns science to the spirit of the early natural philosophers sharing discoveries through networks of letters and journals such as the Transactions of the Royal Society. With the acceptance of open source ideas in such areas of society it becomes more likely that these concepts will have a lasting impact. The collapse of the dot com bubble proved that older models of entrepreneurship lack the intuitive grasp of the internet as a medium and do not yet comprehend the odd mix of gift economy and commerce that have shaped its development. A more agile approach now seems necessary for any entrepreneur entering this new economy. of the building as a ‘lottery jewel’ had also faded. This gave us an opportunity to ‘repurpose’ several spaces. The bookshop space that felt misplaced became a third gallery on the ground floor. CCA office spaces that felt overly luxurious became a hack-lab and the Creative Lab residency space. Glasgow Life came in to support an independent programme for Intermedia Gallery which had become unmoored from King Street. Initially through word-of-mouth the theatre, clubroom and cinema were made available to artists and organisations that needed temporary project space. When it became clear that offering the space in this way was useful and supportive to other organisations we started to formalise the process. For artists and organisations with minimal funding we would offer space for free. Technicians and Front of House staff would have to be paid for if needed but we offered our staff at cost, taking no profit from the organisations. Of course, if organisations clearly had additional funding we would charge for the space but still at a subsidised rate. The galleries on the ground floor remain at the heart of CCA’s own programme and are programmed solely by our own curatorial team. To make this policy work two elements are vital. The first is co-ordination. As activities grew in the building, we created a role for someone to liaise and co- ordinate the multiple events across the building. The second vital element involves selection. Clearly such a policy could easily be taken advantage of or it could quickly become a kaleidoscope of random events. To prevent this, each event and every partner programme is considered internally and every new event must be proposed to the CCA. across the city that are better suited to those proposals. Equally, proposals that tend to demand high amounts of rehearsal time are not high priorities as they occupy space that could be used by other, more public, activities. community in the city and the programme can reflect more cultural perspectives than our small team could achieve on its own. Perhaps the bottom fine is we hope the activity cultural momentum and diversity of the programme demonstrates the best possible use of public funding for the arts in the city. Rent increases and evictions have become key issues and even the standard of accommodation and overcrowding, in a throwback to the early decades of the twentieth century, are major challenges. The shift to renting means that more wealth is being transferred from low-income households to wealthy investors, where the former have no possibility for the formation of housing wealth through ownership and the latter are increasingly driven by financialized dynamics. The inequality at stake here is not just about wealth: renters typically have weak rights in terms of security of tenure and the regulation of rents, and as such evictions, frequent moves and abysmal quality properties are the norm. Living Rent (LR), a Scottish tenant organization with branches in a number of cities. It was established in 2014 and has recently expanded into a national union of tenants. The Dublin Tenants Association (DTA), in which I participate. It describes itself as a space for tenants to come together to fight for their right to housing. It was established in late 2014 as a volunteer, tenant-led group. The association engages in peer-support, campaigning and advocacy. These organizations are developing new ways of responding to the growing conflict between tenants and landlords and between housing as a right and housing as a financialized asset. They aim to become more than radical activist groups, but rather to organize tenants en masse and to change the structural conditions and policies which condemn tenants to a life of high rents, frequent evictions and low-quality housing. All the organizations mentioned above are involved in collective action in response to individual issues, in particular rent increases, evictions and poor housing standards. This involves providing information about tenants’ rights, negotiating with landlords, media campaigns targeting specific landlords and taking legal cases. For tenant organizers this is about tenants working together to fight for their rights, rather than charity. Renting can be an isolating and individualizing experience. The only time a tenant is likely to reach out to others is during a particular moment of crisis, such as a rent increase or eviction. These moments provide the possibility to de-individualize the experience of renting, but also to politicize that experience by showing that by working together tenants can change their reality. Yet this kind of “case work” brings its own challenges — and not just in terms of the considerable resources it requires. It risks drifting into a kind of charity-based service provision and even produce a dynamic whereby the activist becomes a kind of housing rights expert, with the tenant passively receiving their help. This is something tenant organizations are currently negotiating. The challenge is to find a way of organizing that collectivizes and politicizes individual experiences in a way that strengthens agency. Behind these individual experiences are wider social structures that perpetuate the conditions tenants face. If these structures are not challenged the individual crises they give rise to will be reproduced indefinitely. Renters in the private sector, unlike homeowners and social-housing tenants, have extremely limited rights on all fronts, and the sector has been subject to deep deregulation. The result is that the rental sector is the “wild west” of the housing system, peppered with irrational and dysfunctional policies that even the febrile mind of the most fundamentalist neoliberal would struggle to defend. Living Rent emerged as a national tenants’ organization in response to a consultation opened by the Scottish government in relation to security of tenure. In common with England and Wales, Scotland had one of the weakest forms of security of tenure in Europe. The inclusion of “no fault evictions” meant that tenants enjoyed effectively zero security. LR used this opportunity to engage with tenants, to shape debate and discourse around tenants’ rights and to impact on policy change. Their main tactic was to set up street stalls and go “door-knocking” to engage tenants, inform them of the consultation and encourage them to make a submission to the consultation process. They designed a postcard addressed to the relevant government department, which tenants could fill out. At the end of the process, Living Rent delivered sacks full of the postcard submissions to the consultation process. The focus of LR’s campaign was on security of tenure including ending “no fault evictions” and securing long-term security for tenants. However, rent levels, which were not originally included within the consultation process, were also raised by LR, and their campaign included a demand for rent controls. The Dublin Tenants Association, meanwhile, also conducted a campaign for rent controls and security of tenure in the context of a government consultation process in 2016. Tenants were asked to take photos of themselves holding a placard stating the impact of high rents on their lives and share them on social media. This was the first time, at least in recent decades, that tenants have featured as an organized and public voice in debates about housing. The campaigns conducted by LR and the DTA met with a surprising level of success. Particularly in the case of LR, policy reforms were introduced that far exceeded what might have been anticipated. Indefinite security of tenure was introduced and regulation of rent increases, which was initially not even included in the policy agenda, was also introduced. A form of rent control has also been introduced in Ireland, as well as moderate reforms to security of tenure, although this was a result of a concerted campaign by a variety of civil society actors, in particular housing charities, and cannot solely be attributed to the DTA. A number of factors help explain the effectiveness of these campaigns. Firstly, both DTA and LR achieved a very effective and informed engagement with policy. This has also been a strength of Generation Rent, one of the constituent groups of the London Renters Union. In critiquing current policy and developing alternatives, examples from other European countries were also important. For example, both DTA and LR were able to point to data from countries such as Denmark and Austria to show that tight regulation of rent increases is compatible with adequate supply of rental accommodation. A second theme is effective engagement with the media. This is enormously facilitated by a firm understanding of policy detail, which makes possible credible arguments and proposals but also allows activists to combat anti-tenant perspectives. Media work was further facilitated by the fact that none of these countries have heretofore had organizations representing or advocating for tenants as a specific social group (at least not in recent decades). This created a vacuum that tenant organizations could fill. Tenant organizations have furthermore developed a language to speak from a tenants’ perspective, reflecting the experiences of tenants but also articulating “tenants” as specific social actors and as a collective. Creating this sense of collectivity is a specific goal of tenant organizations to counter the individualizing nature of renting. The DTA, for example, set out from the beginning to develop a language through which to speak to and for tenants, based closely on their experiences rather than relying on a traditional left-wing discourse to produce a readymade critique of the rental sector. This is not just a case of “representing tenants” and communicating with them, but a case of speaking as tenants. There are, however, a number of challenges in campaigning for renters’ rights. There is a danger of falling into a representational politics in which tenants become almost a “consumer group,” whose interests need to be factored into the policy process. This depoliticizes the fundamental antagonism between renters and landlords, and between a home as a right and as a speculative asset. It also potentially divides tenants in the private rental sector from those in social housing. Furthermore, there are class divisions and other forms of stratification operating within the rental sector. This is typically ignored by media reports, which tend to focus on a “generation rent” consisting exclusively of “young professionals.” Minorities, migrants and female-headed households are very significantly over-represented within the rental sector, but may be underrepresented in tenant organizations. The London Renters Union has paid particular attention to this issue and organized extensive engagement designed to create an inclusive organization that is led by the different social groups that make up renters. Of the three organizations discussed here, two have established themselves as tenants unions, meaning they have a fee-paying membership structure. Tenants formally join the union, pay monthly due, are able to participate in decision-making, and are eligible for support such as legal advice. The power of the union model is that it can combine and strengthen both casework and campaigning, the two principal forms of action which tenant organizations are already engaged in, and as such achieve the kind of mass-scale required to bring about structural change. In particular, a fee-paying membership creates independent revenue, which allows for hiring paid staff. LR and the LRU both view paid staff as a prerequisite for organizing effectively on a mass scale, and have either already hired staff or are in the process of doing so. The DTA is more agnostic about the benefits of a somewhat professionalized structure. Indeed, all of the organizations are concerned about the political questions at stake in creating a well-structured union with paid staff, and this will no doubt be a challenge to be confronted — and hopefully overcome — as the organizations develop. 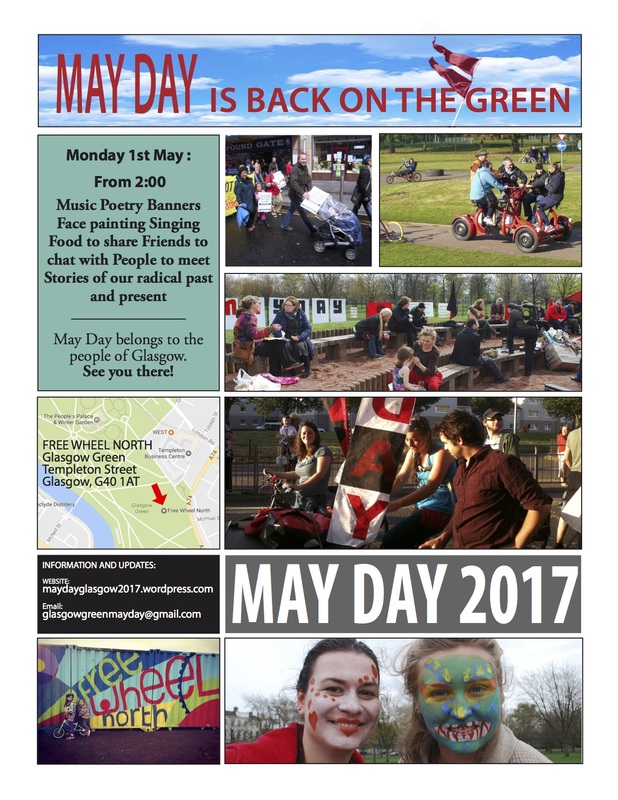 The DTA, LR and LRU are certainly not the only grassroots tenant organizations springing up across Europe. Acorn, the grassroots “community union,” is organizing around tenants’ rights in a number of English cities, and renters’ unions have recently been launched in both Barcelona and Madrid. The proliferation of these groups tells us something important about how the politics of housing is changing today. In the aftermath of the global financial crisis, the focus among many researchers and activists was on the issue of housing debt and the associated forms of social conflict and activism. Mortgage arrears and repossession have been important political issues in Ireland and the United States, but most significantly for the Plataforma de Afectados por la Hipoteca (PAH) in Spain. However, new banking regulation and more stringent credit standards coupled with declining wages and job security make accessing mortgages increasingly difficult. Today, the principal drivers of housing inequality are not excessive debt levels but exclusion from access to credit and homeownership. As households find themselves increasingly relegated to the rental sector for life, and with social housing continuing its decline, the types of issues which dominated “the housing question” in the early twentieth century have returned to prominence: rent increases, evictions, overcrowding rack-renting, and so on. Political and social conditions today are, however, markedly different. The tenant organizations of the past typically organized in locally concentrated, neighborhood-based working-class communities characterized by relatively high levels of homogeneity and well-formed social networks. Much like the situation faced in precarious workplaces, today’s tenant organizers confront a highly fragmented and individualized rental sector. 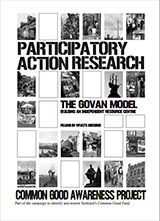 The challenge, then, is not just to mobilize tenants but to create a shared sense of being a tenant in the first place, as well as the social relations, forms of discourse and shared culture of organizing and political practice required to sustain any successful movement. Preamble on climate and connected issues Part 1. Ideas around climate, access and public life with Peter Morton, engineer from Renfrew. A dynamic and tragic portrait of the life of Reddit co-founder and computer prodigy Aaron Swartz, a champion of open access who grew up to lead the internet community into a new age of data sharing and free speech. It is often forgotten that we need to be out to win things, not just to suffer. Power concedes nothing without a demand. It never did and it never will, says Frederick Douglass. What do we need to do to hurt what the bankers and neoliberals hold dear? What do we have to do to make the racists frightened again? What are our demands and what form should they take? We can not fight without an alternative, otherwise we are fighting to stay the same. Protest is a tactic. This is a time for strategy. Freedom is the ability to set the terms of how you want to live. We have a history of winning things that grew out of small ordinary acts of ordinary people, that slowly but surely built our socialism, the direction we wanted to live. The Trumps of the world go out of their way and spend millions on hoping they can make us forget this fact. Because what neoliberals fear most is self determined communities. They know, more than us, once folk start to win things, no matter how small, they do not give them up easily. There are a ton of groups and individuals working on all sorts of projects out there. Do you ever wonder what they have in common? Are there coherent strands to this work, broader aims, coalitions, a bigger picture that directs any of this work? If there is: Do you think its a good idea that it is carried out on Facebook? How do you reach out to a whole section of the population who do not use or have access or no interest in Facebook? Do you think the expanding of the, not for profit industrial complex, is helping to maintain the status quo? Do you think the Universal basic income might be something that could help free up the minds of those at the bottom rungs of society to allow them to be more innovative in building solutions and understanding of their own problems? Have you ever wondered: Why most people who go under the term activist, are always to busy, and that many ordinary folk are sitting at home wondering what they should do? Is representative democracy working? What are we winning by it? Do you think we are obsessed with what technology can do and forgotten what it can’t do? Why we are informed and equate through the news, the plight of the poor, the asylum seeker, the mentally ill, the destitute, the unemployed, and never meet them? What are the questions you would ask? Not just about the problems, but more about the solutions. Not just about the struggle but about our place within it. Not just about solving how to survive in the system, but practical solutions for changing it? And the biggest question of all: How do we connect all this random activity to keeping the planet livable in the long term for human beings? If ever there was a time for convergence towards a collective idea it is now. If ever there was a time to put aside petty slights and find common ground it is now. If ever there was a time to put aside absolutes and to deal with pragmatic questions in the here-and-now, it is now. If ever there was the need to engage in a common project with an overarching narrative. it is now. If ever there was a time to engage in sensible conversation it is now.